Get streamlined and efficient talent development. All gathered together in the cloud. eye4talent is a 360° solution that helps clubs to accelerate their talent development and involve talents at a whole new level. Unite all in the club on the platform and achieve essential values for every football club. You get an overview of the talent development in one safe place and enhance cooperation within your organization. Everybody in your club can work with the platform tools and as another perk, documentation runs itself. 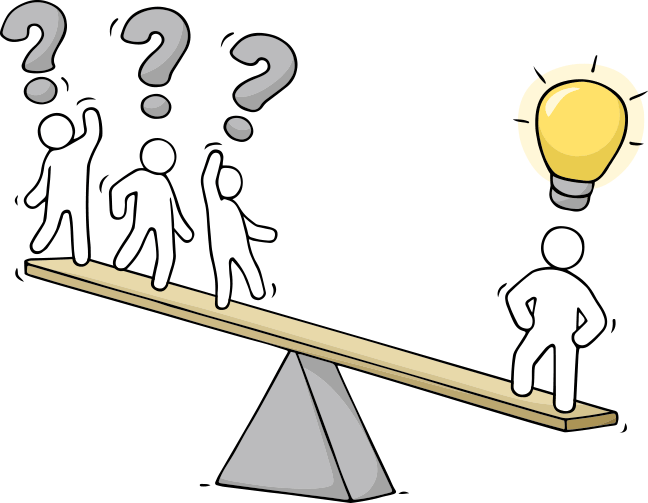 Everybody can do their daily work in one place and optimize knowledge sharing in every part of the club. The talents can be involved in their own development and accelerate their individual learning curve. Player Universe Is a unique opportunity to involve the talent in his or her own learning and development in a close collaboration with the coach. The coach can with his work both indulge the talent in his analyses and involve the talent, who can take part in the analyses and evaluation after both matches and training sessions. Not only can the platform increase the ownership, motivation, and a common understanding between talents and coaches, but it also creates a strong fundament for continuous development on both sides and an environment where skilled talents self-reflect and seek individual feedback. Coach Universe is a result of our longstanding collaboration with clubs on many levels. We have gained priceless insights in the everyday work as a coach. With these insights in mind, we have created a universe with tools for coaches that contributes to the work of a coach with video analysis, training session planner, injury registration, match planning and evaluation, and much more. It generates an overview in one platform and comes with an easy way to share knowledge with colleagues and players. Mobile scouting at your fingertips. Say ‘goodbye’ to hand-written notes! Scout Universe secures that the valuable knowledge, gained over time, stays in the club’s custody. 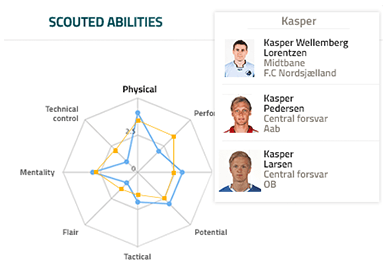 Plan and organize talent identification in one platform by assigning work directly to the scouts’ and trainer’s mobile devices and achieve an overview of internal and external players. 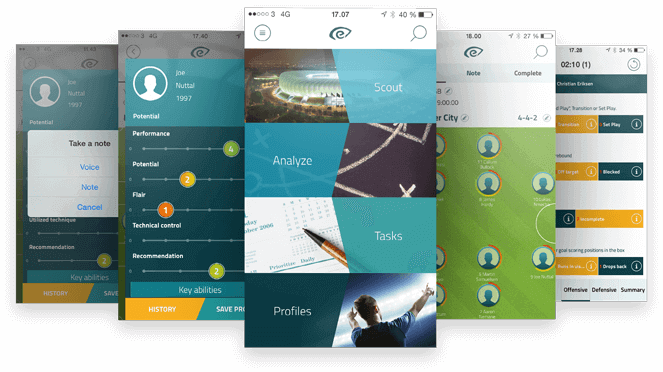 With the 4Scout app, player assessments, notes, voice memos, and more are digitalized. Furthermore, all of it is done on the base of predefined talent-IDs that support the philosophy of the club. Make the right strategic decision. Strong facts turn belief into knowledge. Insights is a professional management tool designed for those, who need a simple approach to analyze their own data. This is especially useful for making strategic decisions. 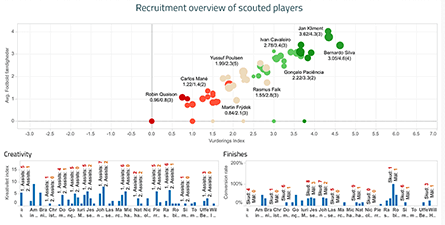 With Insights, data from the Player, Coach, and Scout Universes can be presented with powerful visualization supporting your decisions with facts, increasing your competitiveness, and taking your talent development work to the next level. 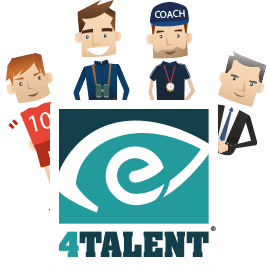 The team behind eye4talent includes a skilled and football passionate team of developers, who constantly work on improving and develop the platform in order for it to support talent development. Without satisfied users, eye4talent would not exist. If the answers to your questions are not found in our HelpDesk with thorough guides, we offer unlimited telephone and mail support. Our platform is open. This ensures that we can integrate with other systems, such as WyScout and Tableau. The list of partners that we ingrate with grows all the time. 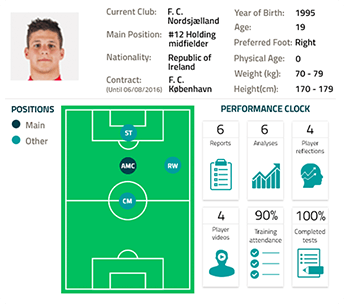 Eye4talent is developed in collaboration with Danish clubs in order for us to tailor a platform suitable for the needs of a football club. Our tools are developed after the principle that they are “easy to use” and are deliberately available to all users at the same time. This way, your club can achieve the highest level possible with your internal competences for staff and players. We believe that talents should be involved to generate a higher sense of ownership and an accelerated learning curve on and off the pitch. 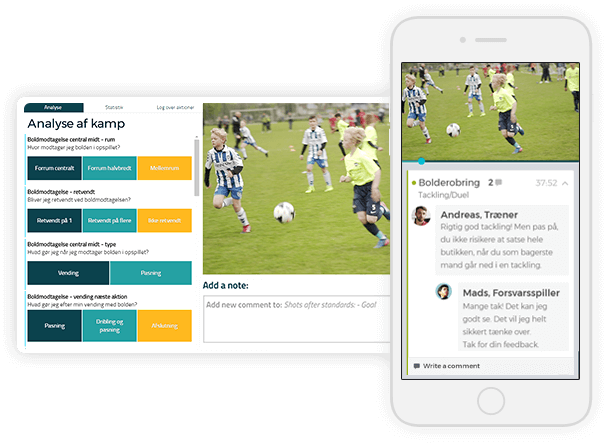 With one platform for all, we support the workflow of talent development in every step – this way, your club avoids losing data and hand-written notes. In return, you can share knowledge in a whole new scale. is spot on in relation to developing their sense of responsibility.